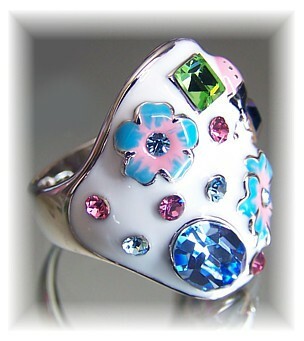 A shiney white enamel base encrusted with a magical mega-mix of vari-shape Swarovski Crystals in Emerald, Peppermint Pink,Sapphire and Royal, with two flowers and the most darling pink and black ladybird! It's divine. Size: length 2.5cm x 3.5cm.